Wrigley Roster Jenga: Where Have You Gone, Gene Krug? An Update! In case you haven't been following Wrigley Roster Jenga since the early days, please allow me to explain what I am rambling on about. 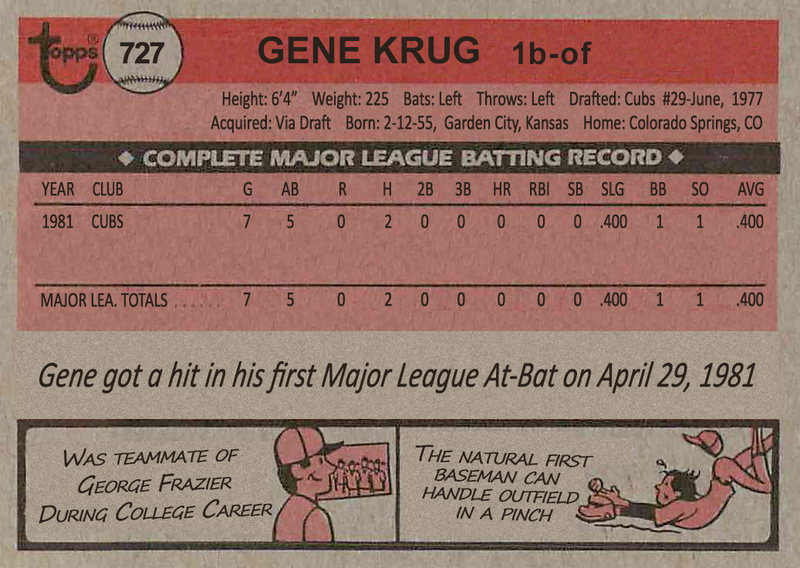 A little more than a month into my blogging career, I explored the topic of a relatively obscure Major Leaguer, who had briefly suited up with the Cubs in 1981, by the name of Gene Krug. 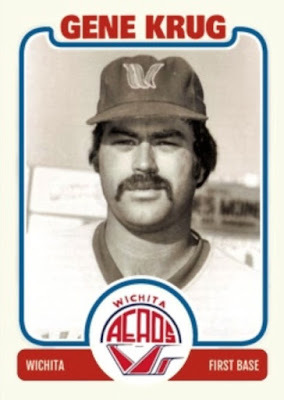 Early that spring, the prospect saw action in seven contests, exclusively as a pinch-hitter, getting two hits and walk in six trips to the plate. Despite that .500 OBP, Krug was soon demoted back to the minors, permanently icing his proverbial cuppacoffee. It's a tale as old as the game itself. 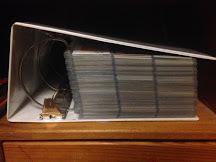 As a collector who has set out to try and acquire one card of every, single man to suit up for a franchise who's history dates back to the Reconstruction Era, this situation is a common occurrence in my pursuit. However, I would expect this of a guy who had played in the silent movie era or during the World War II resource shortage, or during the time where Topps was literally the only game in town... not a guy who took the field in the 1980's. 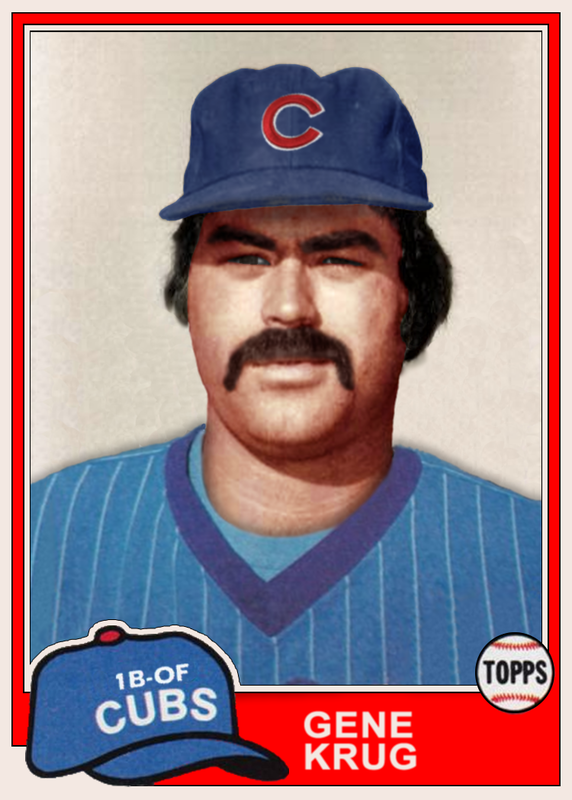 Granted his Major League career was tragically short, but he is the only former Cub to lack ANY such representation since the decade of Reagan, the Brat Pack, and hair metal began. What gives? As you may have seen with my dogged determination to learn more about the mysterious Tom Walsh, I have a certain fascination with the unknown. In a desperate plea, I took to the blogosphere, shouting out into the void, "where have you gone, Gene Krug?" My long-shot hope was that I would either be able to find someone to politely correct and inform me that Krug did in fact appear on a card, or that they could forward me some information so that I might get his John Hancock on a signature card via TTM. After all, while not as appealing, the latter option would still be better than nothing. But, seeing the blog was still in it's infancy, the post didn't generate many clicks and nothing came of it. 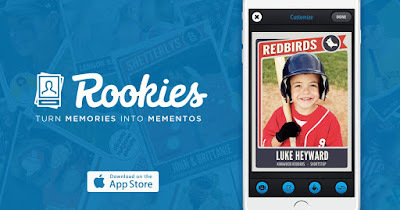 Later that fall, I discovered that the Rookies App was a thing and, utilizing the only baseball image to appear when searching "Gene Krug" on Google, I whipped up a custom card of our hero on one of the application's pre-made templates. Unfortunately, that image was black and white and showed Krug in his AAA Wichita Aeros threads instead of blue pinstripes. Again, though not ideal, it was better than nothing. And here is where the story or ended... or at least I thought it did. Fast forward to last week, that long-forgotten post finally did what I hoped it would. I received an out of the blue message from a young man who had the answer to my four-year old question! The answer is, like America in the mid-19th century, Gene Krug headed west - Colorado, to be specific. As it turns out, the person who contacted me, Brandon, is a high school baseball player in the Rocky Mountain State and his JV coach just so happens to be - you guessed it - Gene Krug! I guess Brandon just happened to come across my ramblings while Googling his coach's name and took it upon himself to enlighten me. Better still, he offered to put me in touch with his skipper and even ask him to sign a card for me. It's a damn good thing that the guy who eventually found my post happened to be so generous! However, there was one problem - I never purchased those signature cards and I only had one copy of that Rookies App custom. Luckily, in the years since my initial foray into blogging, I've gained access to quality photo-editing and design software and my studies in college included graphic design. Thus, I took it upon myself to whip up a card that never was, but should have been. 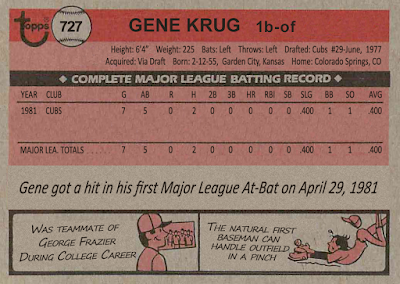 What you see here is Gene Krug via 1981 Topps, the year that he made the Show. First, I re-created the fairly basic design and borrowed the cartoon hat and baseball logo from a high-res scan of an original. Then, I set about the much more difficult task of colorizing that original Aeros photograph and converting those duds to the proper uniform... I mean, nothing against Wichita (Jack White seems pretty excited by going there), but a Major League card deserves Major League threads. I ended up choosing the gloriously odd "pajama" uniforms because they just scream early 80's and I came across a usable sample. After several hours, I ended up with the above custom and I'm pretty satisfied with the outcome. It at least looks just as passable as any of your average airbrushing jobs of that time period! However, when it came time to print this out, I had to ditch the faux-cardboard background. While it fits the aesthetic, it's going to make printing and trimming an absolute nightmare. Ideally, I would use a paper of similar coloring and tone, but my budget is quite limited. Still, I'd day it apes the original quite effectively! This truly was a joy to put together - how do you think it turned out? Please feel free to make your opinion known in the comment section below. As of this morning, my hot off the "presses" custom cards are in the mail, on their way to the land of the Stanley Hotel and legal weed, along with a letter introducing myself and explaining my project. Fingers crossed that they cross the Rocky Mountains quickly and safely on their way to to my new pen pal. Also, here's hoping that Mr. Krug gets a kick out of them and is willing to scribble his name on one of them for me and my Cubs All-Time Roster Collection. If this exchange proves to be successful, this will be the fourth successful TTM in my history of collecting. In the past, I'd never felt motivated to do the leg work required for TTM's; however, as my CATRC journey gets to the nitty gritty, I'm willing to do whatever it takes to fill that gap. Krug is not the first person whom I took up the mantle of creating their "rookie" baseball card. 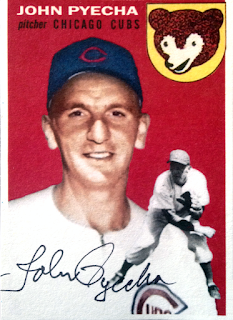 Although, the others all played in the majors many years before Krug, but I digress. 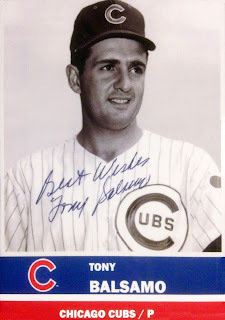 These cameo Cubs from decades previous also lacked any presence on collectible cardboard, but were noted for their willingness to sign through the mail. So, like with Gene, I took up the mantle and filled the vacuum with my creations* and sent them off. The way I look at it, a custom card is one thing, but a custom card with a genuine signature adds some authenticity to the item. Will Gene Krug be the next successful chapter in this slowly burgeoning project? Only time will tell, but I feel quite confident with having Brandon on my side. Like I said, the cards are in the mail and the gears are turning. Be sure to stay tuned to Wrigley Roster Jenga for updates; I'm sure that you readers are sitting on the edge of your seat. Well, the anticipation is killing me, anyway! Very cool post. I hadn't read the older one, and immediately clicked the link and read that first. I noticed the recent comment right away. I love how projects like this can highlight otherwise relatively unknown guys. Hope it works out for you! Great work! Best of luck with the TTM attempt.